In the coffee world, the Mazzer grinder is truly beloved. Mazzer was founded by Luigi Mazzer, who produced his first grinder using heavy-duty parts in the 1950s. Featuring stepless adjustment for infinite grind settings plus powerful motors and steel burrs, Mazzer grinders are true workhorses that you’ll see in many bustling coffee shops. They’re known for producing consistent, flavorful coffee and espresso grounds time and again, so they’re ideal for commercial applications. 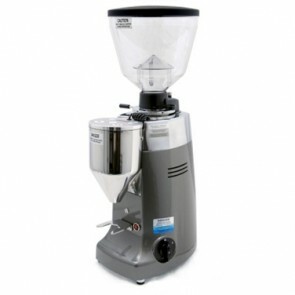 The Mazzer coffee grinder family is expansive but all-encompassing, ranging from the always-popular Mazzer Mini to their high-volume Mazzer Robur. 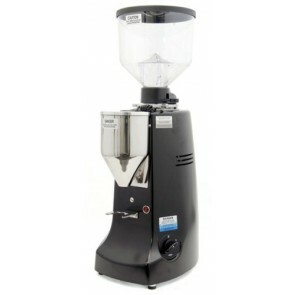 As Mazzer’s most popular grinder, the entry-level Mazzer Mini Doserless is a great introduction to the brand. Featuring flat steel burrs and tap-to-grind technology, the Mazzer Mini is a popular pick for those looking for a cutting-edge light commercial or home espresso grinder. Like with other kinds of products we offer, Seattle Coffee Gear can help you pick the right grinder from start to finish. Give us a call or send us a chat message to learn more about the Mazzer line of grinders, as well as a host of other grinder brands and machine makers. For in depth looks at what goes into a grinder, be sure to check out our Blog and Coffee 101 pages!